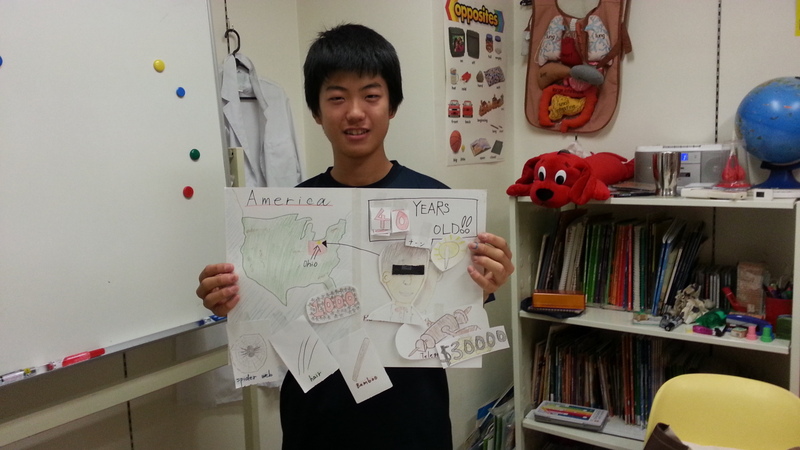 名古屋市昭和区の英会話スクールBigBowEnglishLab > ブログ > Fantastic Biography Presentations! My junior high school returnee class just finished a very interesting project. They chose a biography from the "Who Was?" series, wrote a paper, and made a presentation. Some students used Power Point to make their presentations, but one student made a great presentation on Thomas Edison using posterboard, cellophane tape, and many, many different pieces of paper he taped on and took off during his presentation. It reminded us of the paper crafts they make for the TV news show "Sunday Morning!"